After my first live experience with the GREAT Nick Cave & The Bad Seeds this past week in Dallas, I proceeded to go on a Google hunt for anything and everything Nick Cave. 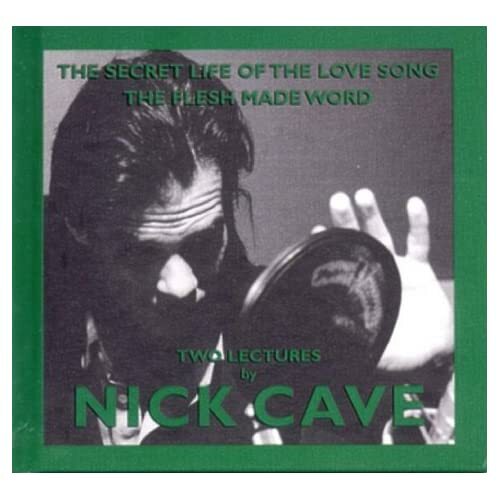 Fortunately, I stumbled upon some absolute GOLD in the form of this spoken-word recording of a lecture that Cave gave on how he views the love song, how he writes them, the role they play in "actualizing" God, etc. The recording includes both his lecture as well as intimate versions of a handful of his songs performed to lend context to his overall message. Hearing him describe his process, his thinking, and his overall songwriting motivations is nothing short of mesmerizing. The link above also includes the full transcript!